The Nu Prime Alumni Association exists primarily to help connect members with each other. Our board members and volunteers will work to locate and remain in contact with as many members as possible, and will facilitate communication between members. The Association will use current technology to communicate with members to announce and promote scheduled local and campus events. The board will attempt to plan and organize an annual meeting for all members at a convenient location to conduct Association business and to provide a forum for members to share time and memories with each other. 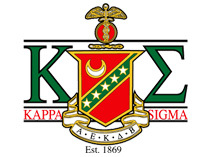 The Association will assist as needed with any future re-colonization efforts at Nu Prime Kappa Sigma.